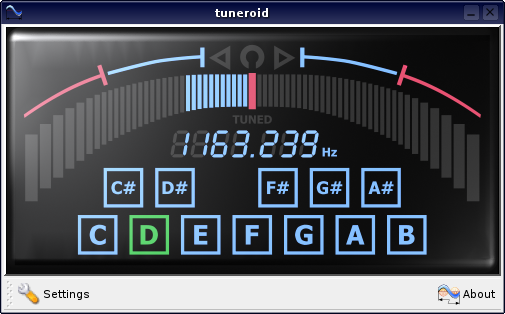 tuneroid is a tuner for variety of musical instruments. 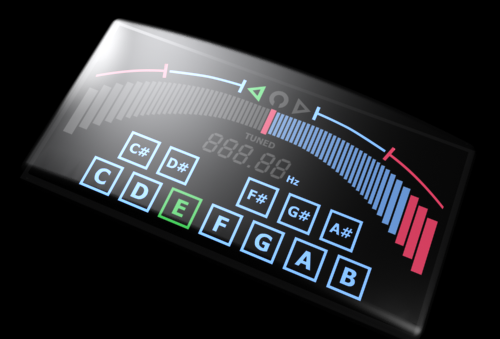 It is designed to tune musical instruments on PC using a microphone or directly connecting the instrument to the PC's sound card. 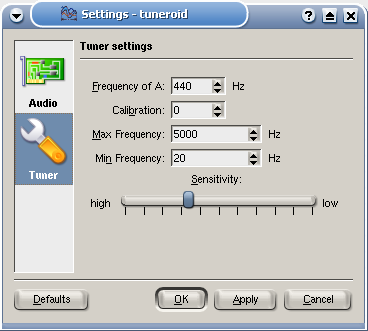 By using a JACK plugin you can also use tuneriod together with the JACK daemon. 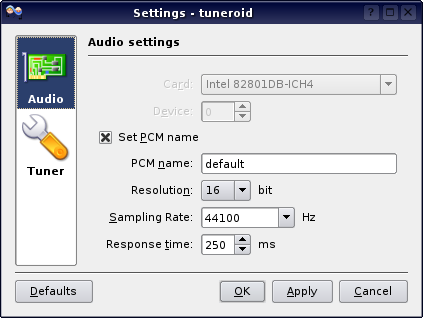 Simply add a few lines into your .asoundrc file according to this describition (search for "JACK plugin") and put the PCM name in tuneroid settings dialog as "plug:jack".